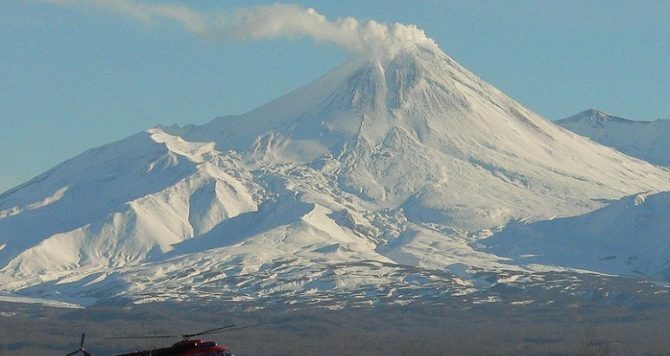 Avacha volcano (2741 m) is located 30 km from Petropavlovsk-Kamchatsky. 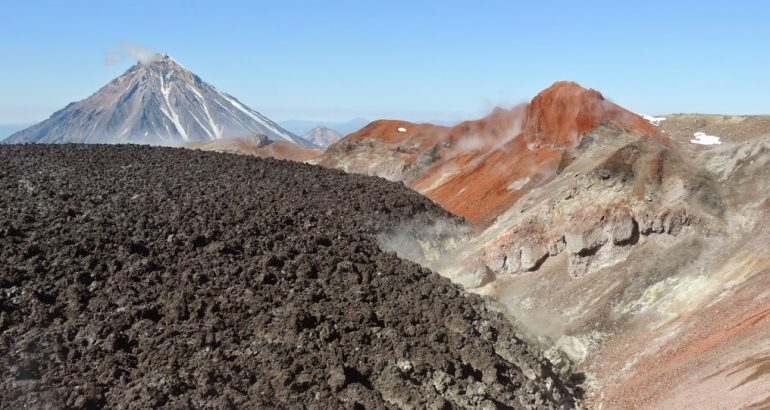 In the crater of Avacha volcano, which is to fill in 1991, was a bowl diameter of 400 m and a depth of 200 m, it is always observed intense fumarolic activity. 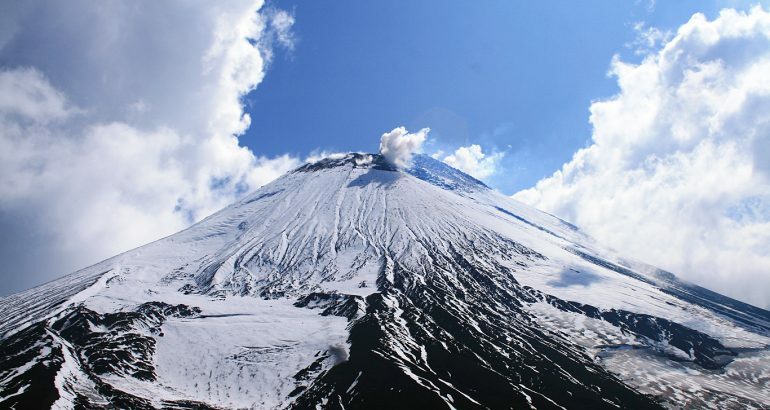 As a result of the eruption of 1991 t`he crater was sealed «lava stopper» Then fumaroles focused mainly on track «Lava Tube» from the edge of the volcano. From the top of a beautiful view. 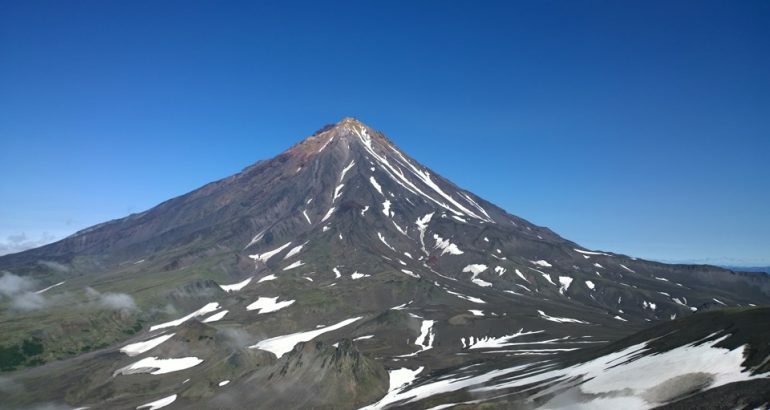 In the north — Hollow Nalychevo valleys, volcanoes Zhupanovsky group; in the east — Volcano Kozelskiy, expanses of the Pacific Ocean; on the west rises the massive cone of Koryak volcano; in the south — the city on the shores of Avacha bay, volcanoes Vilyuchinsky, Burnt, Mutnovsky. 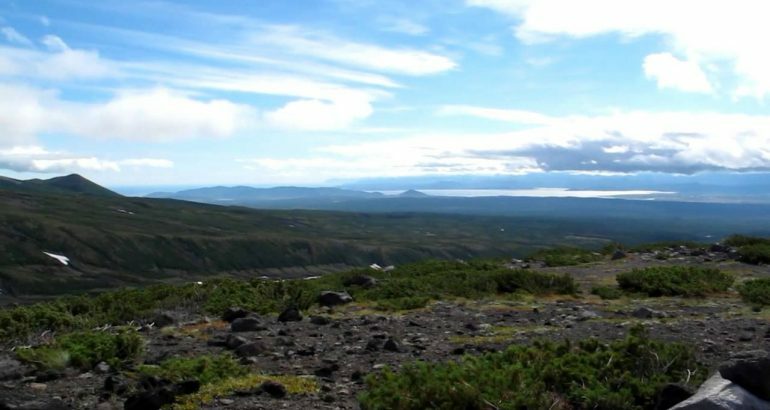 At the top of the volcano trail is laid, the average time of ascent to the volcano is OT4 to 6hours. 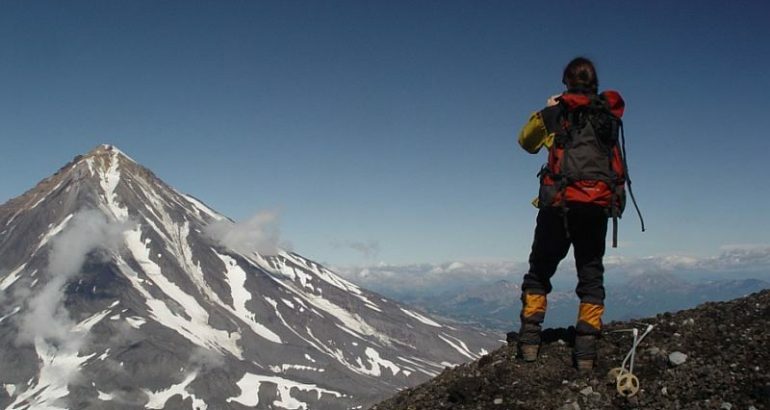 In the summer, for the ascent does not require special training or equipment. Meeting the group at the site of collection. 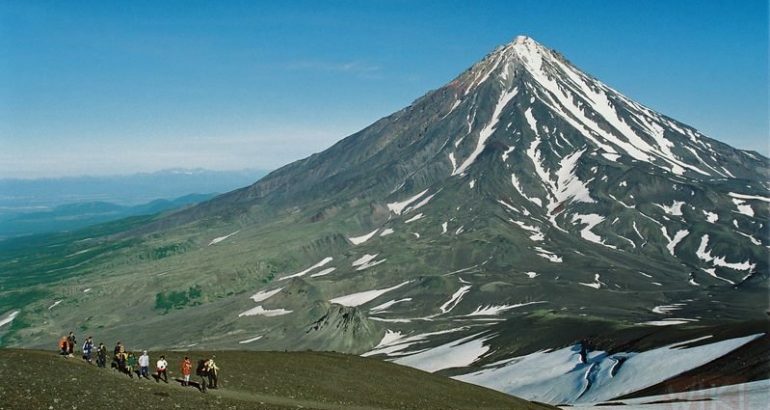 Check out the SUV to the side of the pass between Avacha volcanoes Koryak and Avacha a height of 900 meters. Poslednie17 km route are in the hollow called Dry River. The yield on the route. The trail passes through the slag fields. 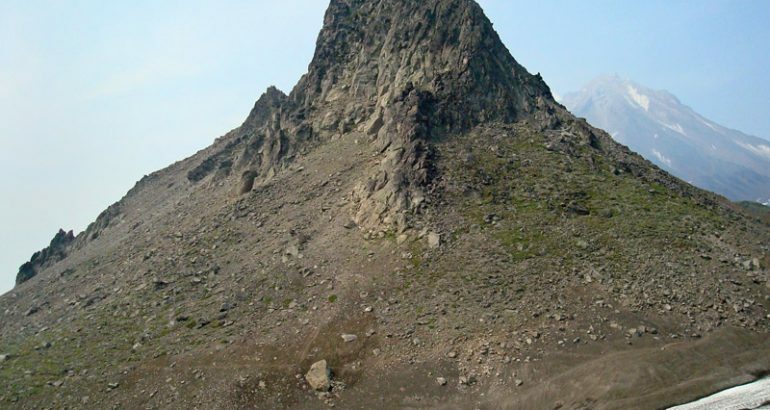 Climbing takes place on the western slope of the volcano and ridged crest of an ancient stratovolcano, «collar» enveloping the young cone. 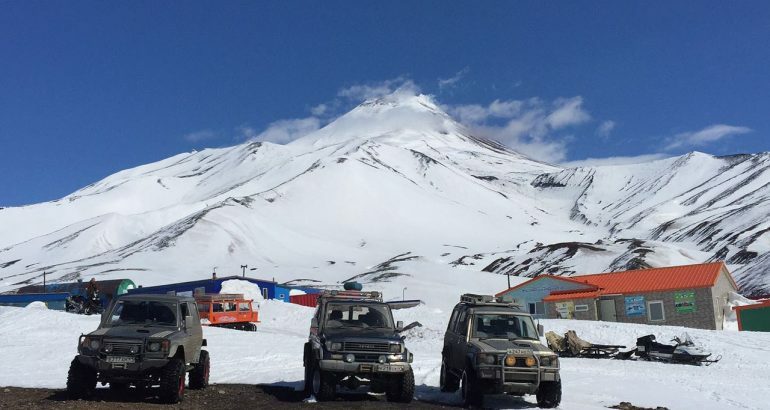 At an altitude of 2000 meters you will be given a rest and a light lunch (sandwiches, tea), after which we will continue to rise for the young cone of the volcano to the top. At the top — rest, visit the crater. 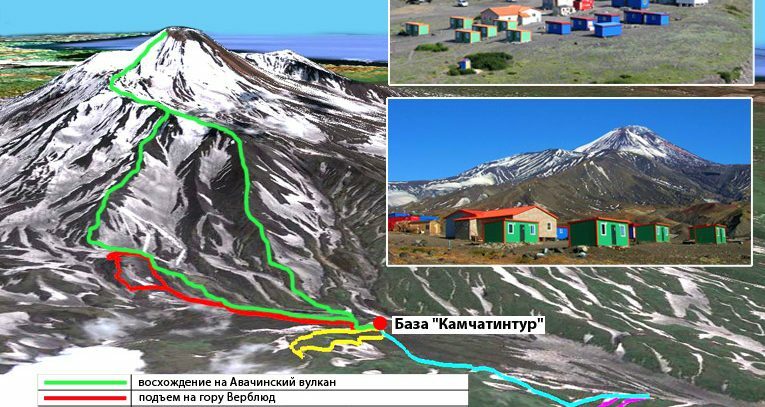 climbing length — 7.5 km. Duration 4-6chasov ascent, descent takes 3-4 hours. 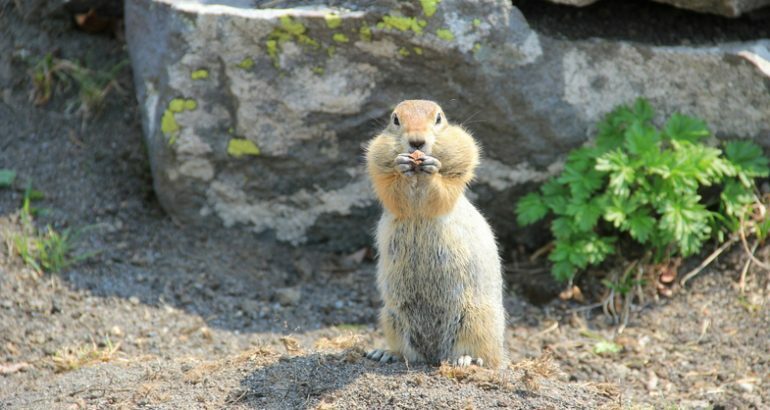 Tour price: 6500 rubles per 1 st. people.